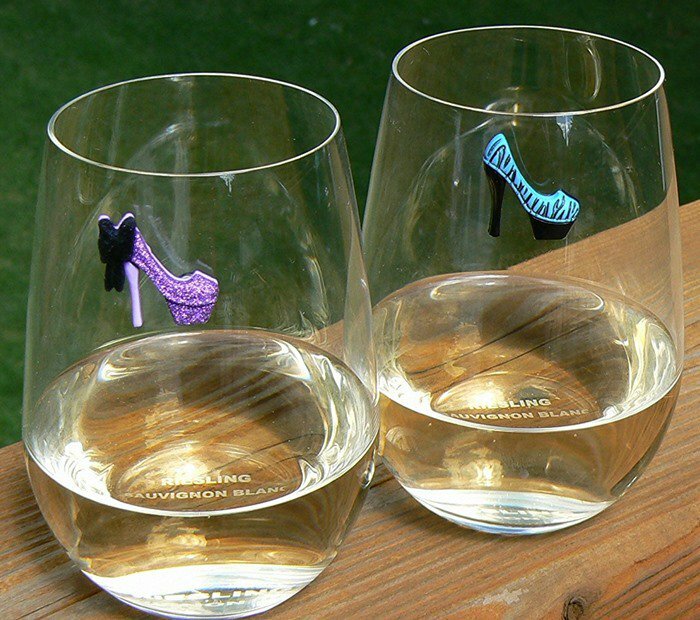 Never lose a wine glass again and personalize your drinks with these adorable and fun high heel magnetic charms that you can purchase at Amazon! 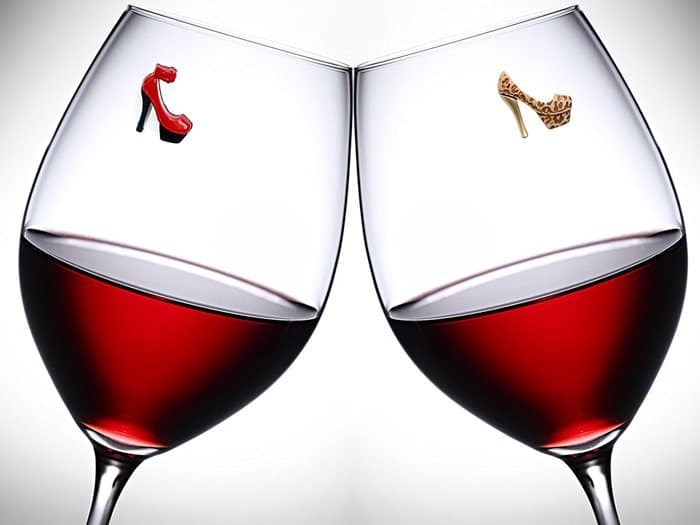 Even if you don’t love to host and entertain, they make great gifts for a shoe lover that does. 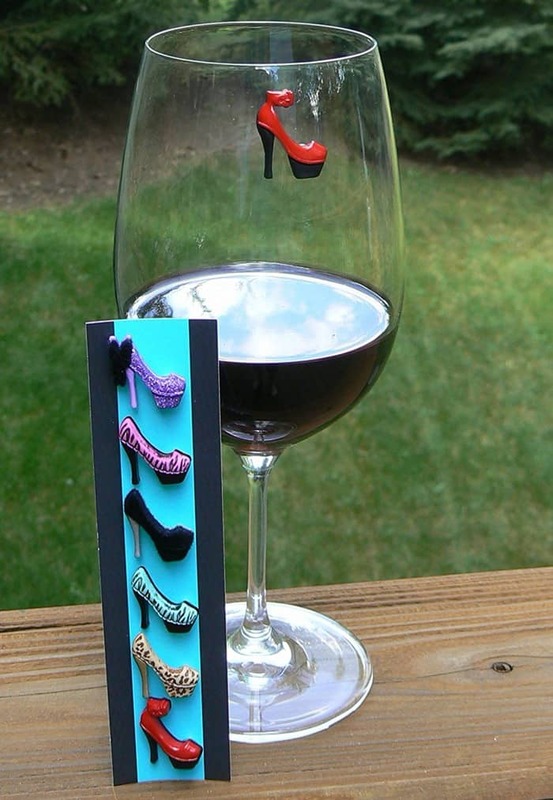 Just like high heel wine bottle holders, these unique wine glass markers are great conversation starters. 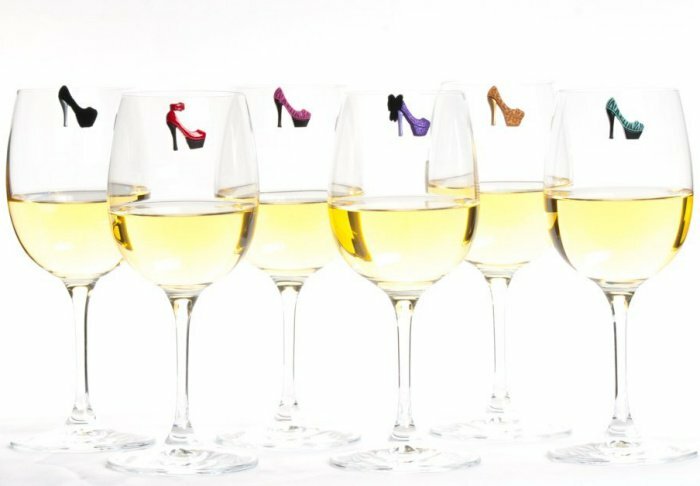 They are also fabulous for gifting occasions such as birthdays, hostess gifts, bachelorette parties, and housewarming parties. 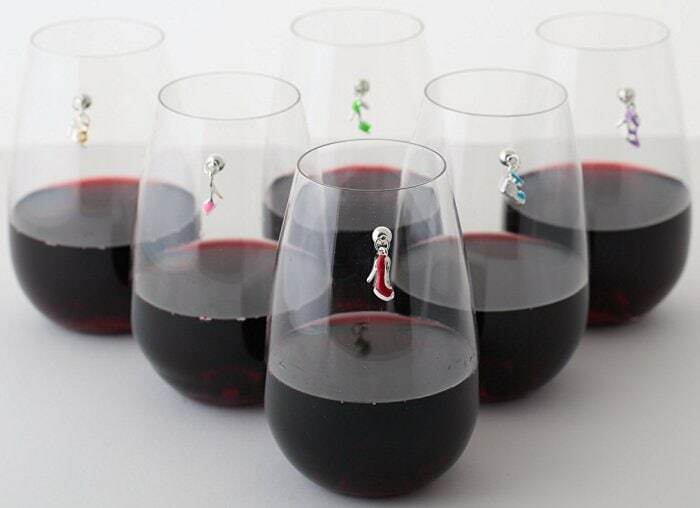 You can use these magnetic wine charms on any type of glass, including beer mugs, cocktails, and juice glasses. 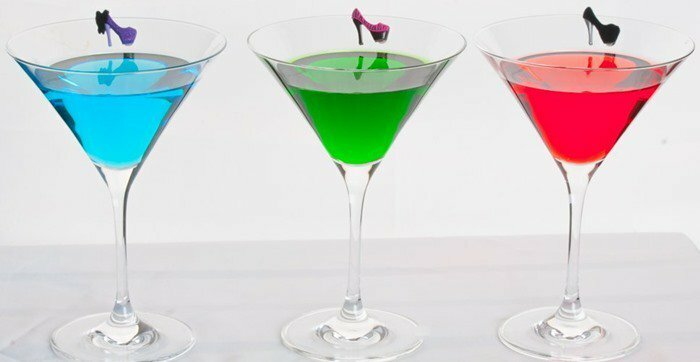 Made in the United States, the magnets won’t affect the taste of the drink, nor will the drink affect the magnets. They are coated with environmentally safe nickel and copper. You can, of course, use the charms over and over again. Using the magnetic charms could not be easier. 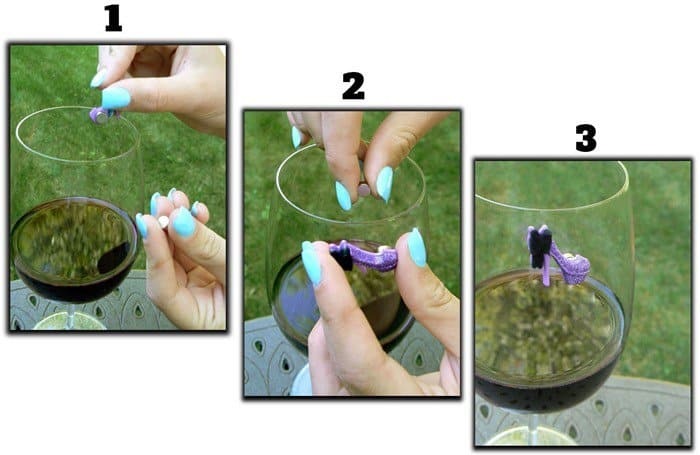 As shown below, place the charm on the glass near the rim and place the 2nd magnet gently inside behind it. 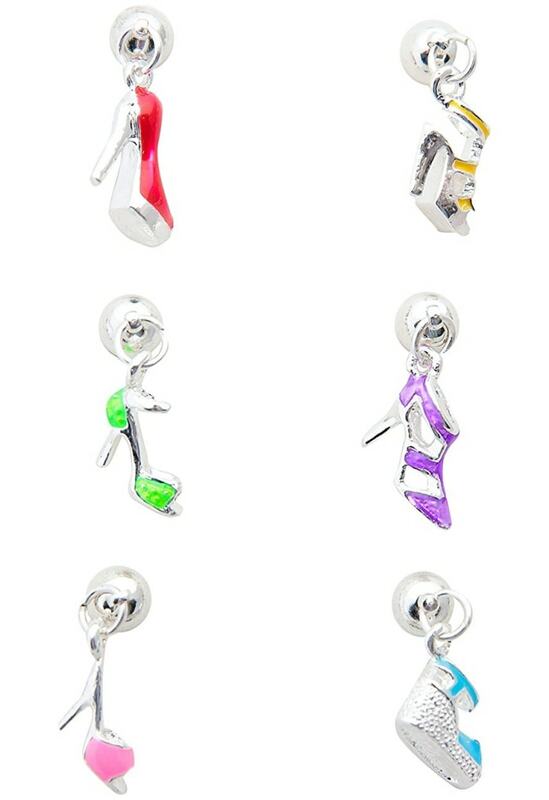 I love the shoe charms. I also ordered the beach themed and the men’s themed charms. 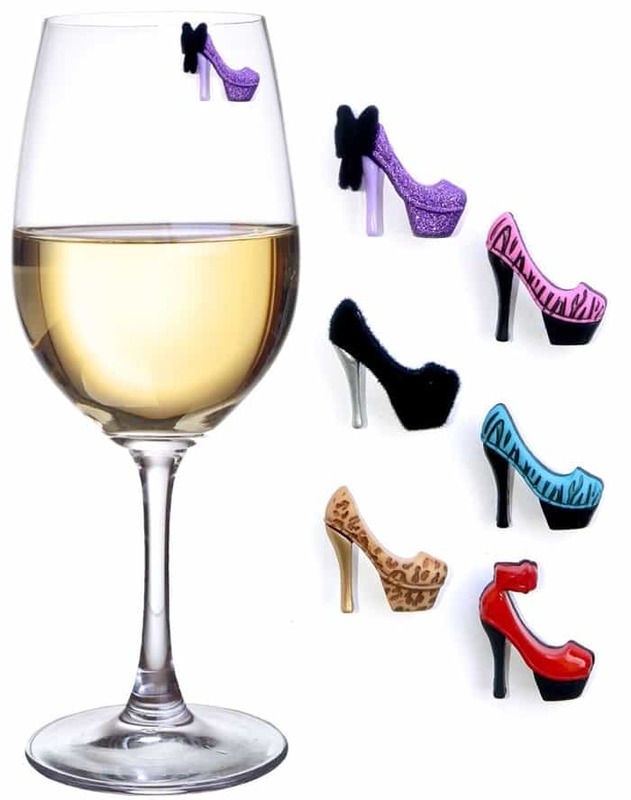 I used these for party favors for a wine tasting birthday party. I attached them to plastic wine glasses filled with chocolates. Everyone loved the charms. The quality is wonderful and the magnets are extremely powerful. I will be ordering more of these for gifts. 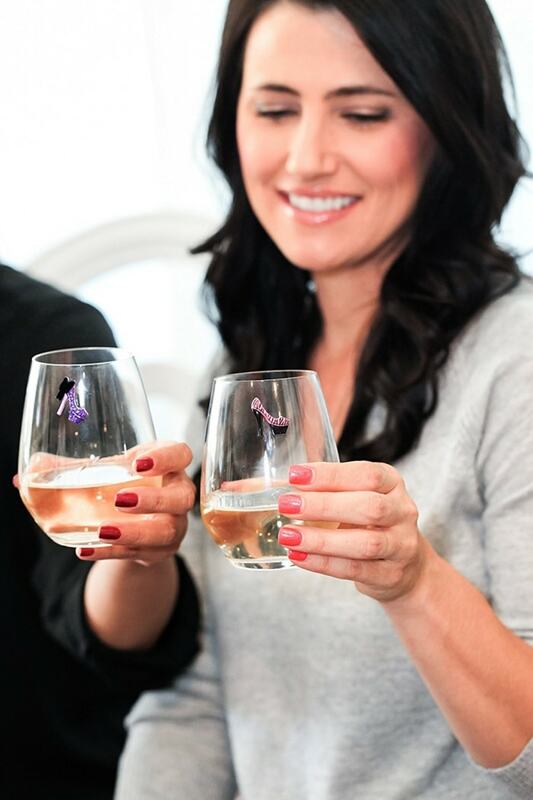 I love my magnetic wine charms! They work great for identifying which glass is mine, but more importantly they are so FUN! They’ve become such a conversation piece when we use them, that we’ve purchased more for gifts! They are very strong and durable. My only problem is that I want so many different designs! I purchased this for my wife since she always misplaces her glasses. The magnets were just as pictured and very detailed. The items shipped fast and the communication and customer support from Simply Charmed are unrivaled. Responses were quick and customer service was top notch! Will continue to do business in the future.